Vodafone’s service hub couldn’t answers questions fast enough. The heart of the problem: data management. Migrating to SAP’s relational database management system, HANA, and integrating that more tightly with Vodafone’s ground-breaking enterprise system, EVO, delivered immediate results. Time taken to answer queries reduced drastically, while caller and agent satisfaction has gone up. More than 100,000 Vodafone employees and vendors rely on its Service Interaction Center to raise queries about HR and finance issues and make a wide range of service requests. But the existing system had performance issues that were slowing down agents’ work and frustrating the efficiency of their day-to-day activities. 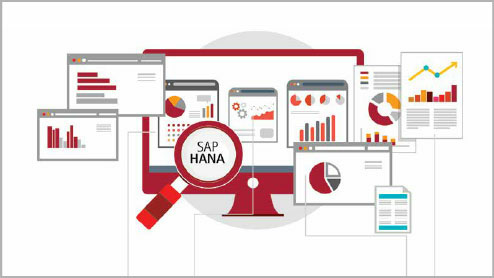 Accenture suggested that migrating the solution to SAP HANA would achieve the targeted performance improvement. (HANA is a sophisticated relational database management system.) By taking a copy of the pre-production system, and using a large volume of data, Accenture built a proof of concept to show how migration would deliver performance improvements in a number of key process areas. 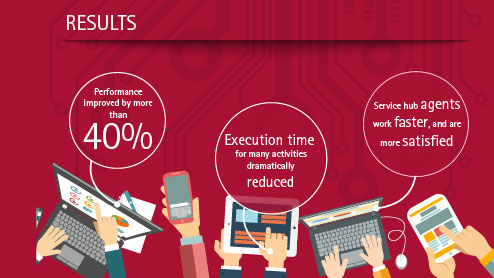 Performance has improved by more than 40 percent, with the time it takes to execute many activities dramatically reduced. Service hub agents have transformed the speed and quality of their service. The success opens the way for deploying HANA in other areas of the business to achieve similarly dramatic improvements. Vodafone's SAP IT implementation is driving transformational change, cost savings and operational excellence. Accenture and Alcatel-Lucent worked with Vodafone in the development and deployment of a Remote Management Platform (RMP) to help Vodafone improve customer service and achieve operational efficiency. Vodafone and Accenture create one enterprise operations platform for global success.